Haligonians with disabilities are challenging the media — and the public — to change the way they think about disability. 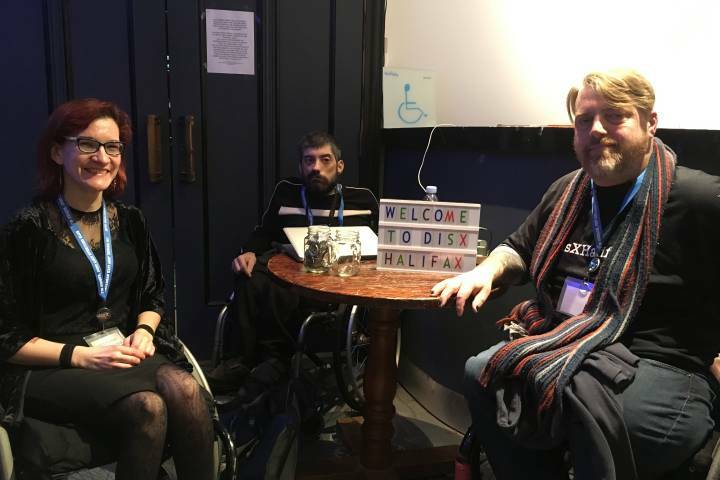 Speakers at the inaugural Halifax DisabilityX (disX) show shared their personal stories on stage on Thursday in an attempt to shed some light on an experience they say many able-bodied folks tie to stereotypes or consider out of sight and out of mind. “The media, and social media especially, loves different ideas of people with disabilities, where we’re either superheroes or we’re objects of pity,” explained Paul Vienneau, the event’s co-organizer and a prominent accessibility advocate in Halifax. Six speakers with challenges ranging from deafness to autism spoke to a sold-out show at the Bus Stop Theatre and raised funds for a literacy group for LGBTQ+ youth in Sackville, N.S. Vienneau said he hopes to make Halifax disX an annual event and, eventually, to tour it around Nova Scotia schools, with involvement from students with disabilities. “We all have people in our immediate family, most likely, who have some sort of disability so part of this is sort of subtly to remind everybody that this is not some abstract thing that doesn’t affect you,” he told Global News. Adam Jack Pelley, a Nova Scotia native and semi-pro wrestler who has schizophrenia, also spoke at the event. He said his message to the public is not to let challenges of any kind stop people from reaching their dreams. Pelley says he’s also a writer and is working on his seventh book with the goal of one day getting one published. He shared his story and more on stage in front of nearly 100 people. “We want to show that people with disabilities can live average, normal lives, just like everybody else in society,” he said.